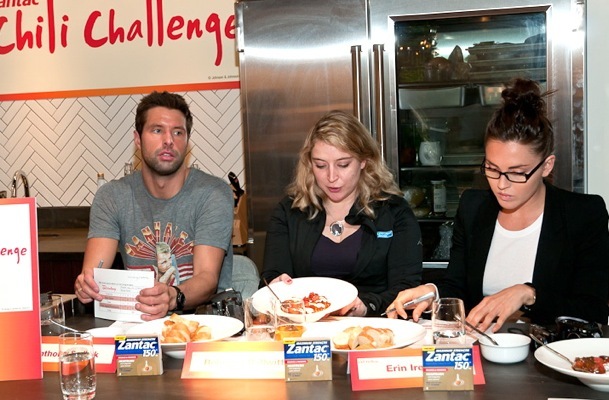 When asked to judge the Zantac Chili Challenge semi-finals — the second to last stage in a nationwide competition for the best chili recipe — I excitedly checked my calendar to see if I was free. I wasn’t. But, of course, I rearranged my schedule. How does one say no to such an opportunity? 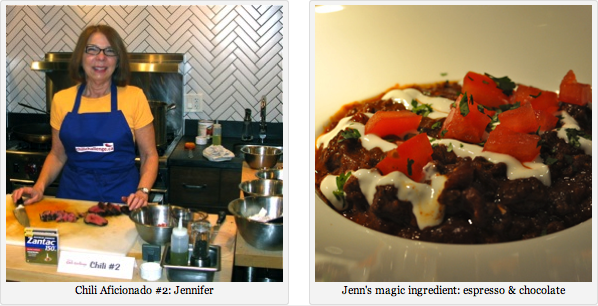 The spicy event was held at one of my all-time favorite food spots: The Dirty Apron. Also judging the chili, prepared live by semi-finalists from across Western Canada, were Food Network Canada’s Anthony Sedlak and Rebecca Bollwitt (pictured above). 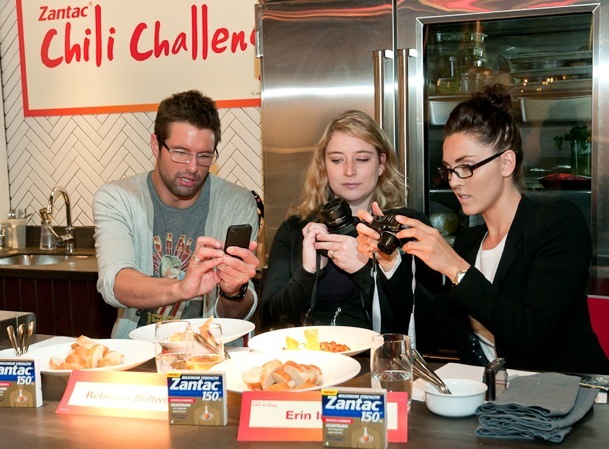 Here are the three aficionados who vied for a spot in the Zantac Chili Challenge finals, happening in Toronto this February. *Chili images courtesy of Miss 604. The showdown was painfully close. 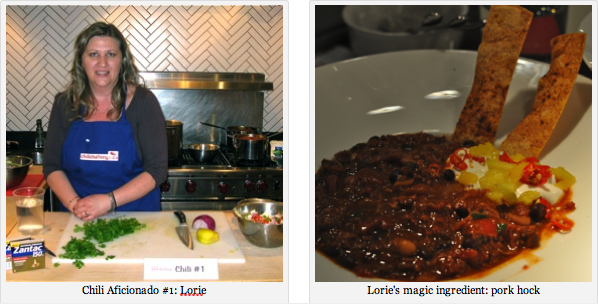 In the end, Lorie (with her sour cream and mango topped pork hock flavored stew) was victorious. She’ll move on to compete against undefeated Zantac Chili Challenge champion, Mike Callaghan, for the grand prize: a trip to the birthplace of chili, the Mayan Riviera. Another event perk (aside from sampling the comforting creations) was receiving Kitchen Scraps, a humorous illustrated cookbook by chili aficionado #3, Pierre Lamielle. If half his recipes are as delicious as his chili was, this book will become my new favorite. You can follow Pierre on Twitter here. For more event pics, you can view Miss 604’s Flickr stream here. 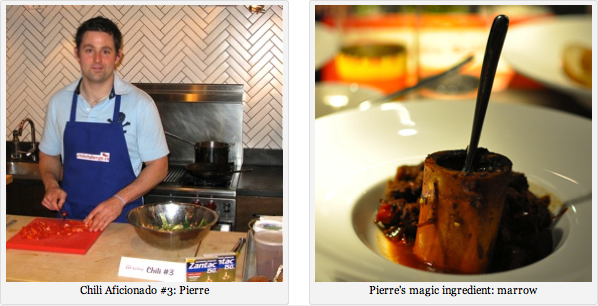 To read about my latest to die for discovery in Gastown, click here.